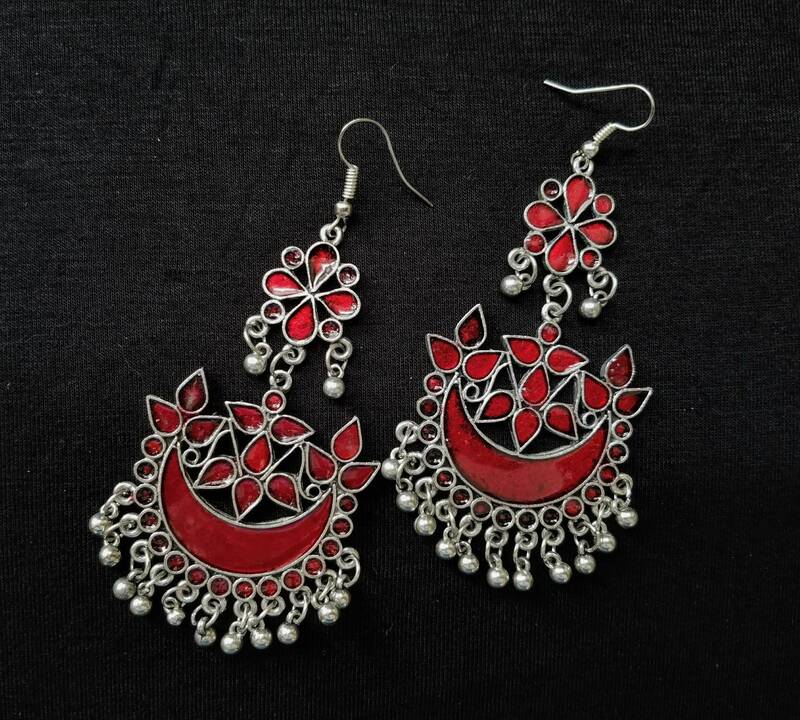 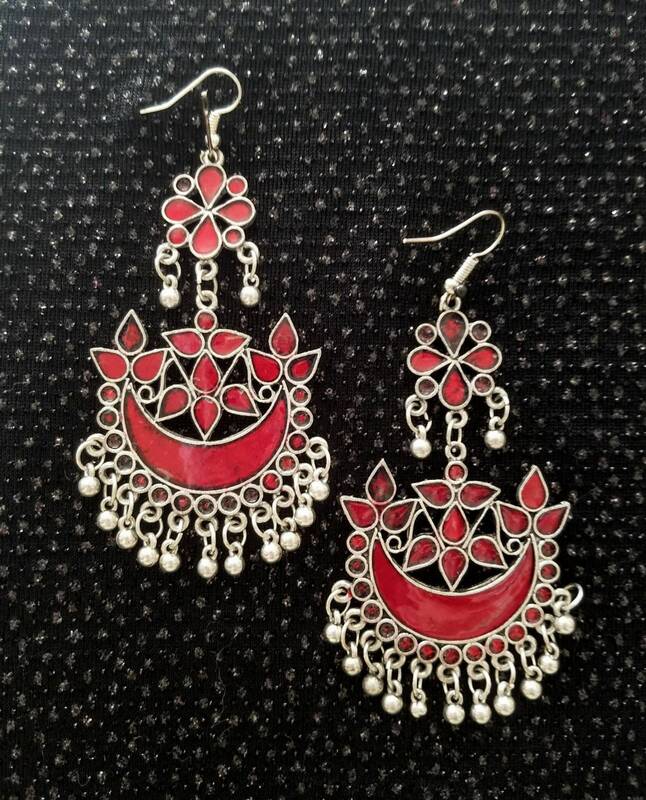 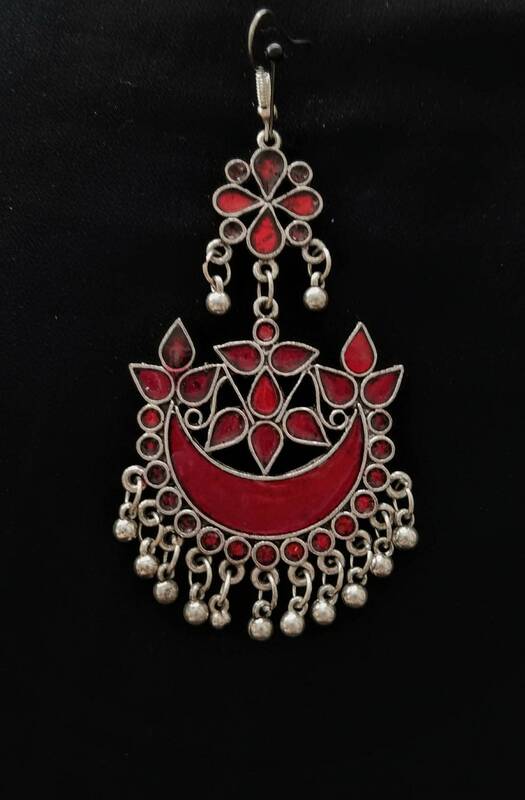 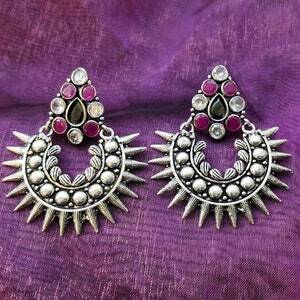 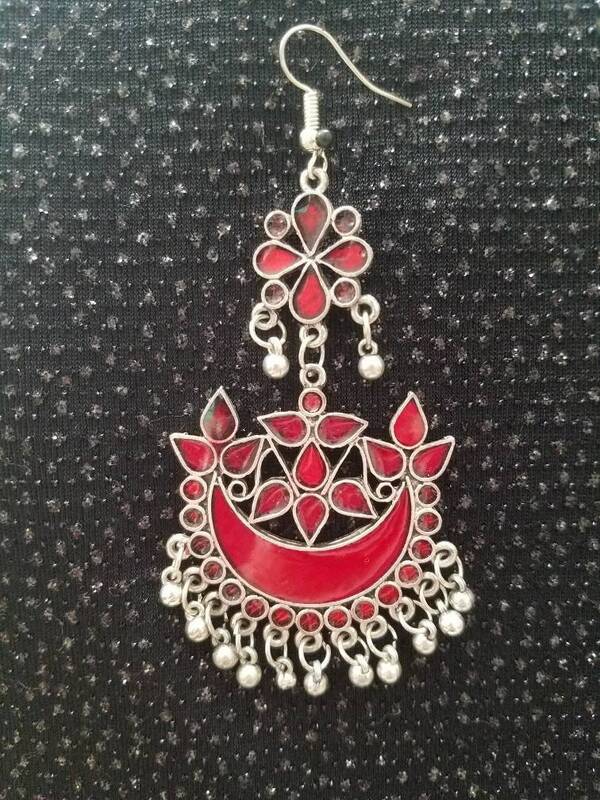 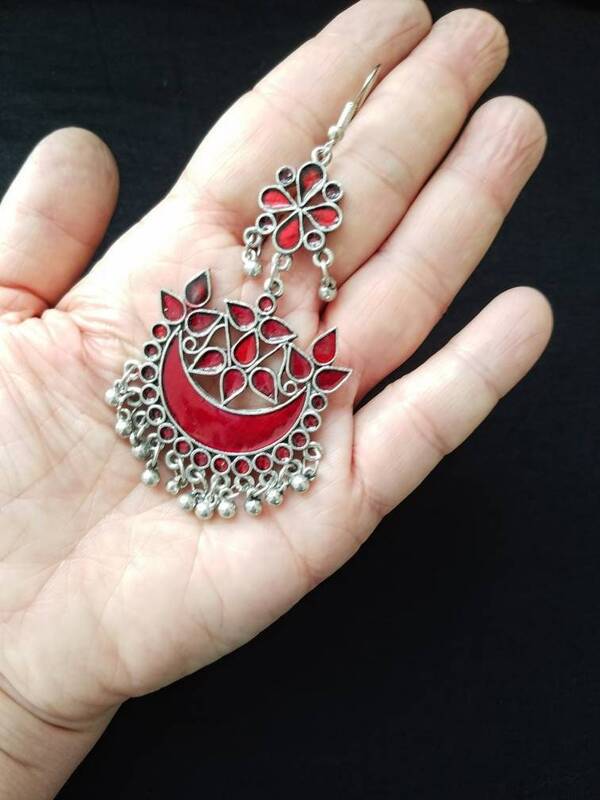 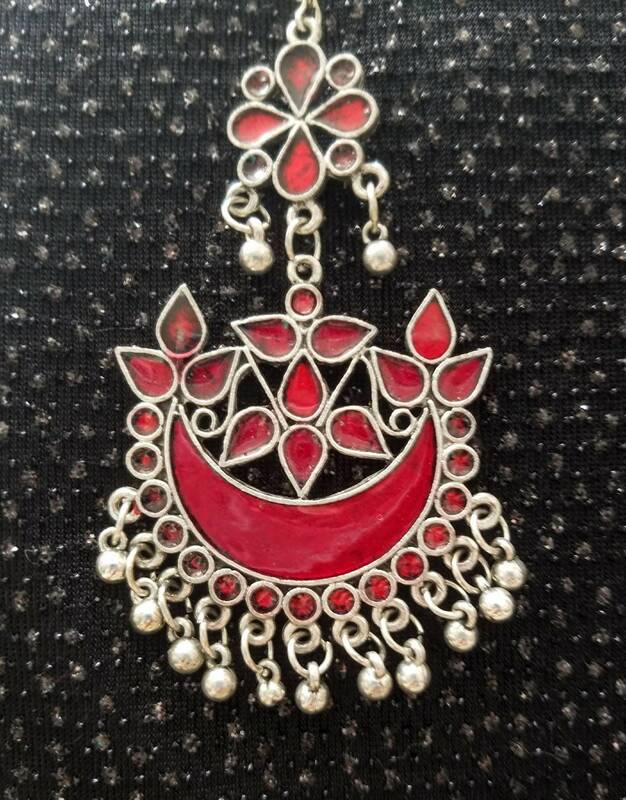 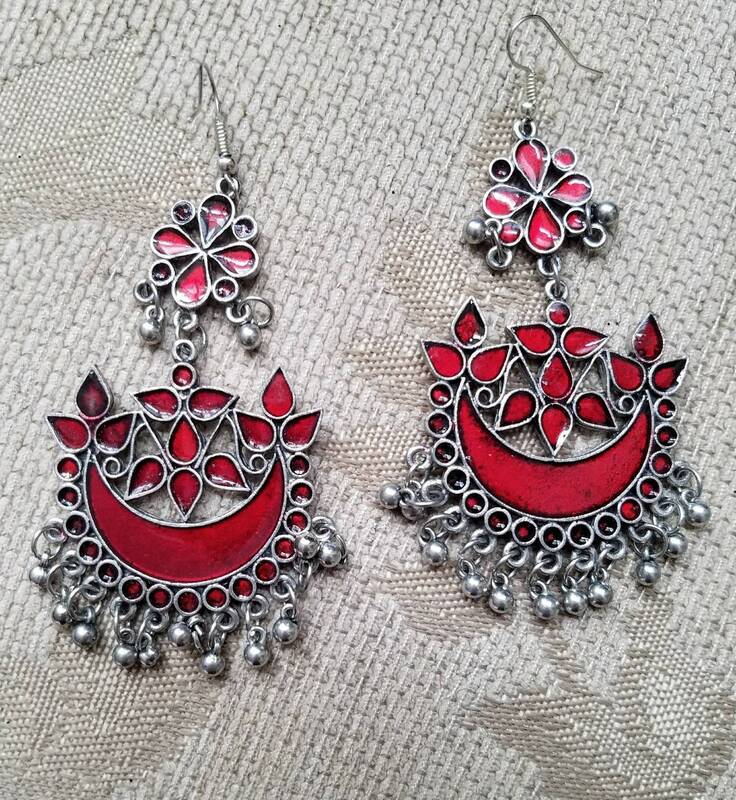 Be noticed wearing these gorgeous Afghani chandbali crescent shaped red drop earrings. 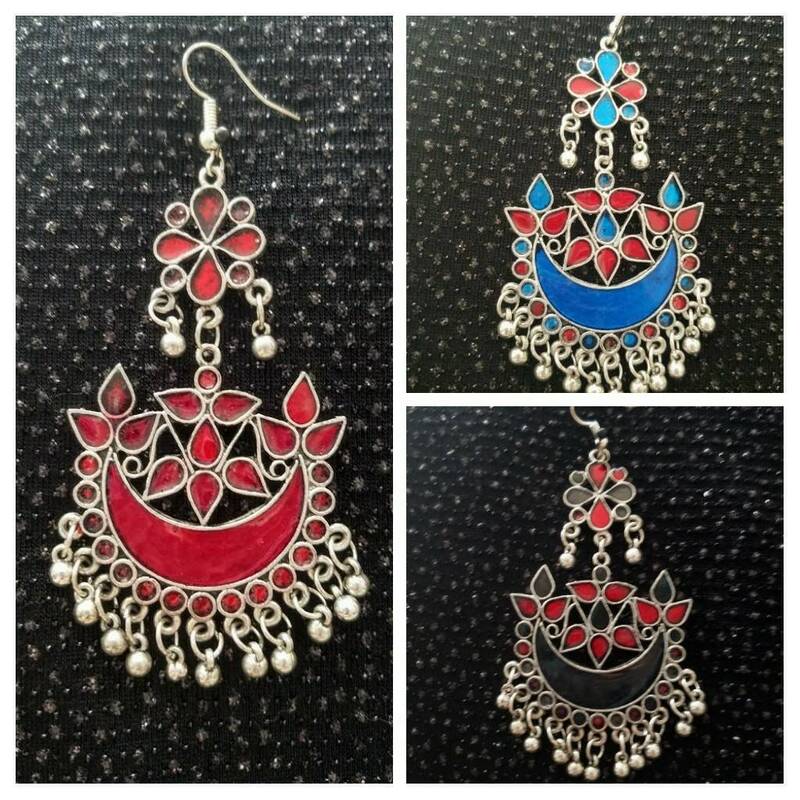 The red is vibrant and rich, in the red/blue color spectrum. 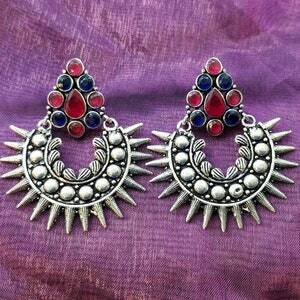 Lots of flashy color and movement! 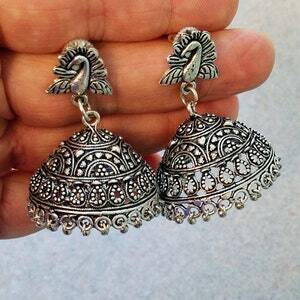 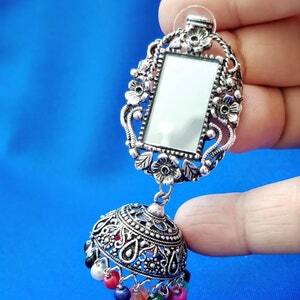 Great fun earrings for summer and you can carry them into fall if paired with black or a rich beige/ camel color.